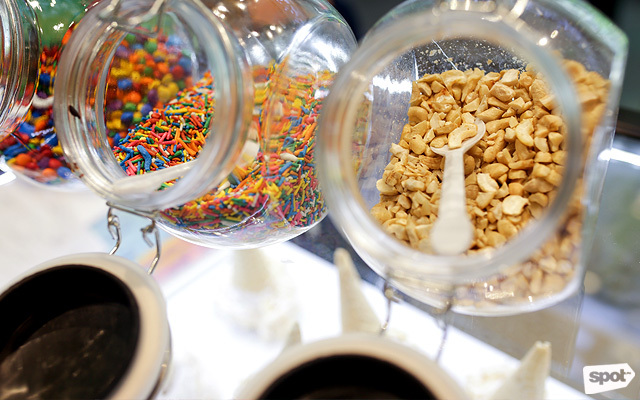 Outrageous ice cream flavors and even more outrageous waffle cones! 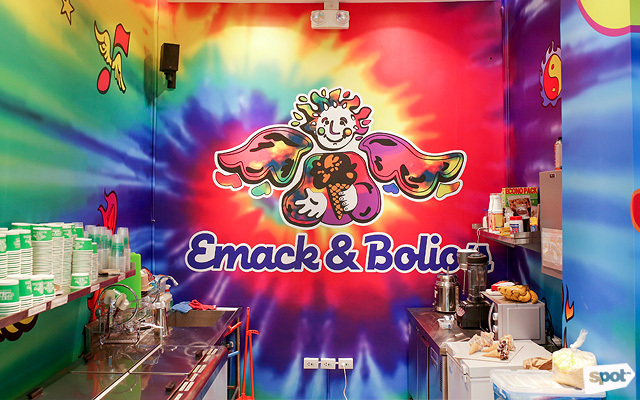 (SPOT.ph) There’s no other way to describe walking inside Emack & Bolio’s but psychedelic. 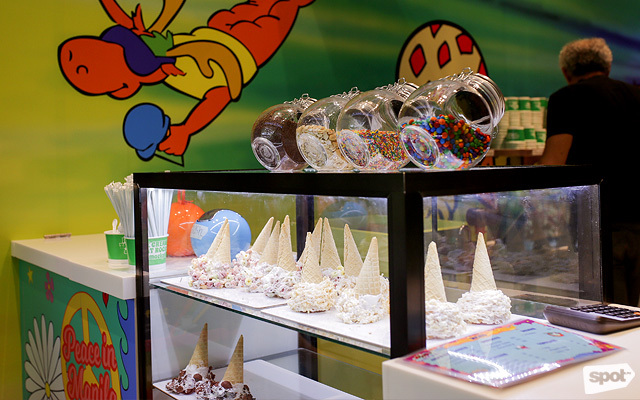 The walls of the ice cream parlor are painted neon pinks, greens, and purples, and a mural features a rainbow timeline of Emack & Bolio’s history. 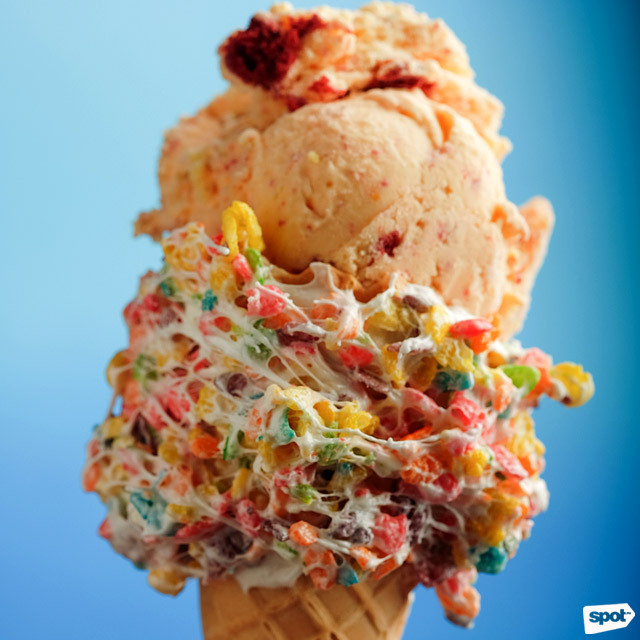 It’s colorful, it’s trippy, and most of all, it’s fun—and that’s exactly how you would sum up a trip to this ice cream parlor. 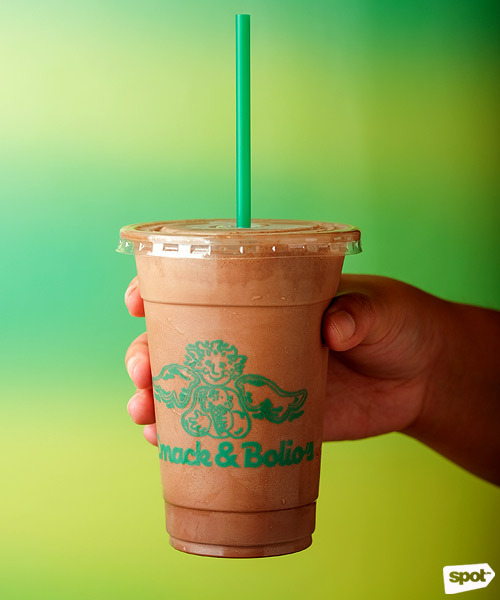 Lawyer and self-confessed hippie Robert “Bob” Rook opened the first Emack & Bolio’s in 1975 to satisfy the midnight cravings of his musician friends. 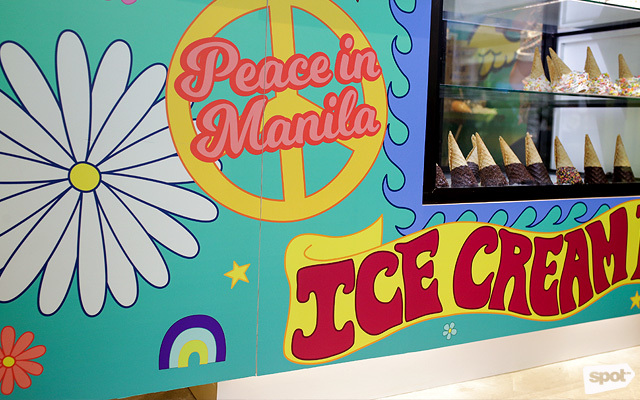 What started as an ice cream machine in a basement in Brookline, Massachusetts has become a global franchise, with branches in Hong Kong, Taiwan, Korea, and now, the Philippines. 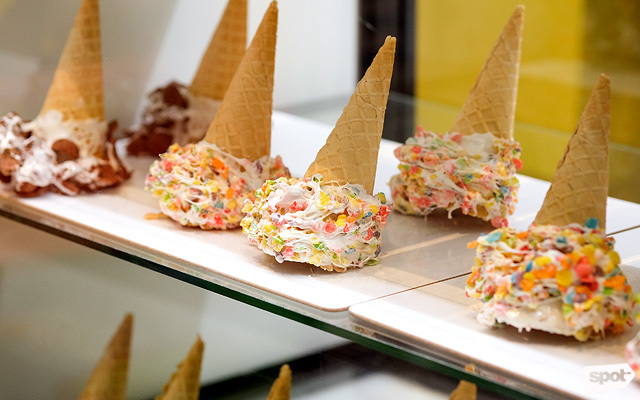 They owe their success to their unique ice cream concoctions, inspired, at first, by what the founder and his friends loved to eat or combinations they were just curious to try, but now also by Bob’s travels all over the world. “When you go to ethnic grocery stores, when you travel, you get ideas,” shares Bob. “Like in the Philippines, you get fruits that are indigenous here like durian and jackfruit and stuff like that. We don’t have that in America. So when I travel and taste different things, my mind goes ‘can you make ice cream with that?’ I look at a lot of dessert menus, and customers give us ideas, too.” He promises that he’ll make flavors inspired by the Philippines, soon: “Though I only just got here like two days ago!” he laughs. 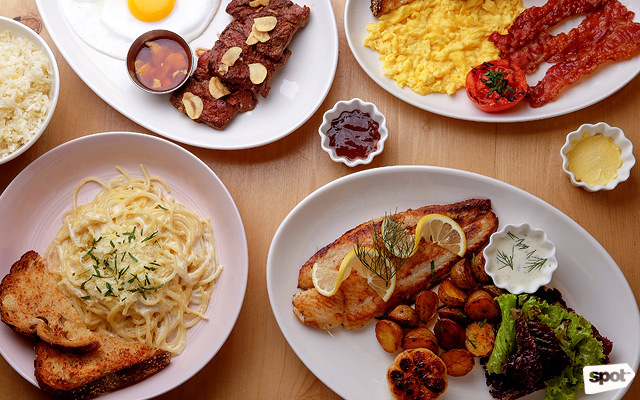 But before that happens, there’s already much to try out from Emack & Bolio’s intriguing menu of flavors. 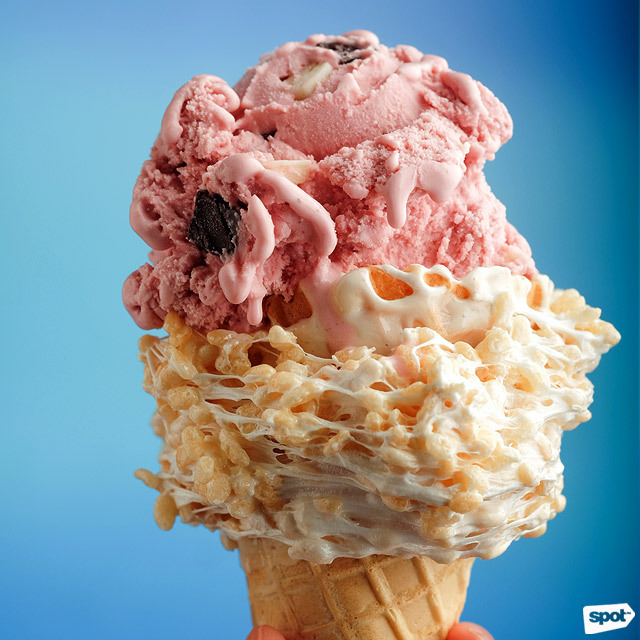 You’ll have a hard time choosing from a list that includes Space Cake (P165/one scoop, P265/two scoops, P365/three scoops), which is cake batter ice cream (imagine sweeter vanilla ice cream) with huge chunks of shortbread cookies and red velvet cake. There's also “Deep Purple” Chip (P165/one scoop, P265/two scoops, P365/three scoops), which has the no-fail combination of black raspberry ice cream and white and dark chocolate chips (the resulting rich purple hue is also double-tap worthy). 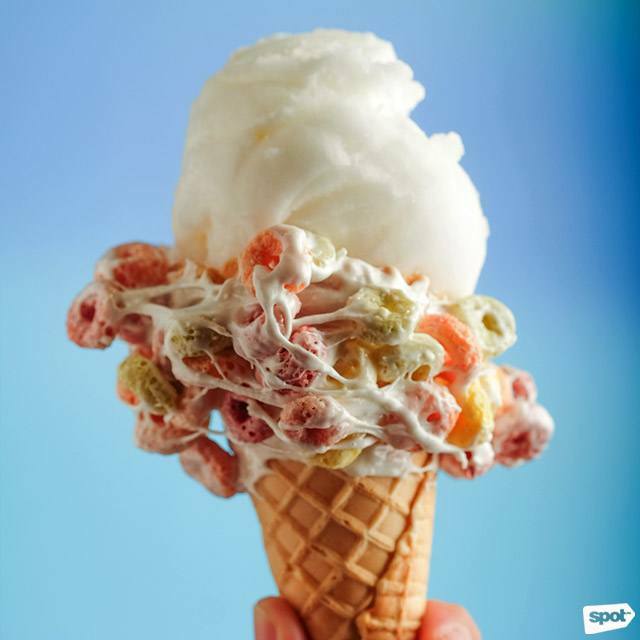 But the comparatively straightforward Lemon Sorbet (P165/one scoop, P265/two scoops, P365/three scoops) is not to be overlooked, its refreshing sweet-zesty flavor will remind you of sour drops or tropical summers. 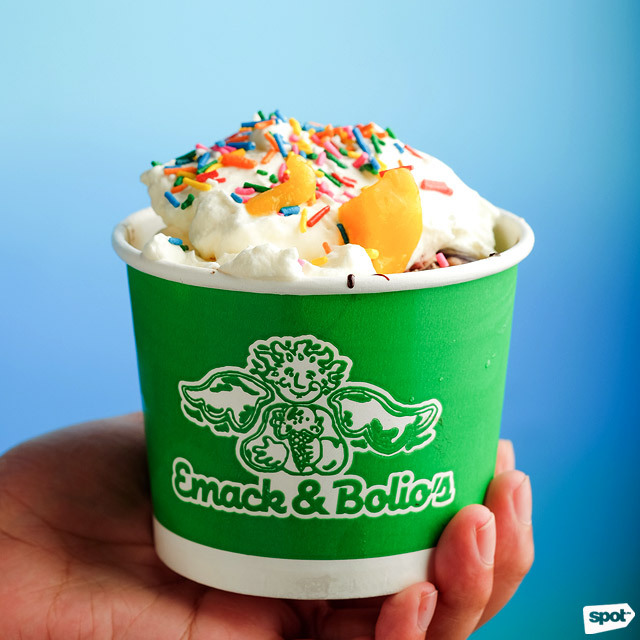 Don’t think too much about what ice cream flavor goes with which type of cone; let loose, have fun, and let Emack & Bolio’s unique sweet concoctions surprise you.